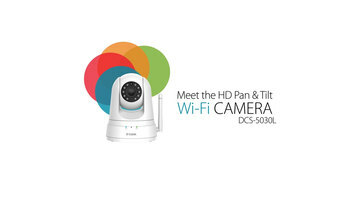 Today will be showing you how to set up D-Link's HD pan and tilt WiFi camera: the DCS-5030 L. We'll walk you through: 1. Connecting the camera to your WiFi network. 2. Adding the camera to a My D-Link account. 3. Accessing your camera from the app. In the box, we have the camera warranty information, quick install guide, quick install card (with the camera's WiFi name and WiFi password), Ethernet cable, mounting screws, camera mount, power adapter, and the camera. WPS Setup. Start by downloading the free "My D-Link Lite" app from the iTunes app store or from Google Play. Once you've downloaded the app, log into your account and select "add a new camera." Or, if you don't have an account, start by selecting "sign up here." Next, you'll be asked to scan the QR code of the quick install card or device. You can also select no and select the model number from a list shown on the app. Then plug in your device and wait until the power LED on the front of the device blinks orange. The app will then ask if your router supports WPS. If it does and you would like to set-up your device this way, select yes, if not skip ahead in the video for direct setup. After selecting yes, you'll then press the WPS button on your router. Select "next" on the app and then within one minute press hold the WPS button on your camera until the WPS light blinks blue. Click "next" in the app. When the power led on the front of your device turns solid greens, hit "ready." If your device is not found, try again and make sure that: 1. Your mobile devices is connected to the network created by the router you pressed the WPS button on. 2. You press and hold the WPS button on the router until the WiFi LEDs start blinking. 3. You press and hold the WPS button on the camera until the WPS LED blinks blue. Once connected, you'll be asked to create a password for your device. If you're new to my D-Link, you'll be asked to create an account and verify your email, or you can add the camera to an existing account. You'll then see your connected camera listed in your remote devices. If you're setting up your camera using direct connect, scan the QR code or choose no to select your camera model from the list. Then plug in your device. When the power LED on the front blinks orange, hit "next." When asked if there is a WPS button on your router select "no." Here you'll see two additional set up options. We'll walk through direct connection, but you can also use Ethernet connection setup up as well. After you select "direct connection," hit ready when your camera LED begins to blink orange. You'll then need to connect your phone or tablet to the cameras WiFi network. On your mobile device go to your WiFi settings and enter the WiFi name and password listed on the camera or quick install card. Once connected, navigate back to the My D-Link Lite app and hit next. You'll then be asked to reconnect to your home network through the my D-Link app. After your camera has successfully connected, you'll be asked to create a password for your device. If you're new to my D-Link, you'll be asked to create an account and verify your email or you can add the camera to an existing My D-Link account. You'll then see your connected camera listed in your remote devices. Now you'll be able to view your WiFi camera anywhere / anytime with the free My D-Link app. If at any time the setup process is not successful, reset the camera and try again or visit support.dlink.com for assistance. Thanks for watching. See you next time. The GET Heiss cast aluminum cookware line is a great alternative to cast iron cookware! 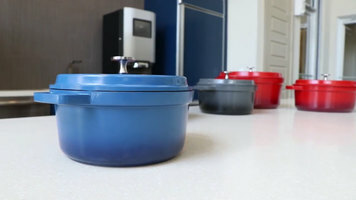 Lighter weight with all the typical benefits of cast iron, these Heiss pots are perfect for both commercial kitchens and catering companies. Check out the benefits of the cast aluminum cookware! 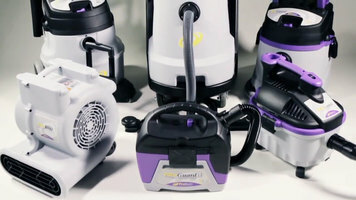 Prepare for the unexpected disaster or mess with ProTeam's line of ProGuard vacuums! With multiple versions in different sizes and capacities, you can choose which ProGuard product is right for you.